Boss Orange Sunset is a rich white floral fragrance with an opulent bouquet of orange flower and tuberose in the heart, set against the creamy sandalwood and vanilla in the base, which gives Boss Orange Sunset the same soulful sensuality that characterises the Boss Orange fragrance. 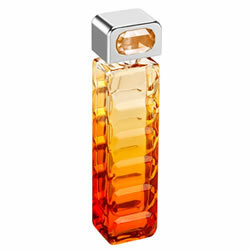 Hugo Boss Orange Sunset has an unusual and inviting tropical top note of passion fruit, which blends with the prominent floral heart to create a more light-hearted and relaxed overall effect than the original. Unfortunately, this beautiful fragrance has been discontinued. 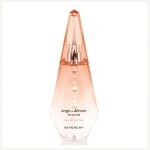 Why don't you try the less citrus and fruit base Boss Orange, or the similar fresh tones of Givenchy Ange Ou Demon Secret or the citrus tones of Guerlain Pamplelune? Hugo Boss Orange begins with fresh and soft fruity tones of Apple and Peach, over a fresh floral and fruity heart of Orange blossom, Plum and Jasmine and an unusual base of Cinamon, Vanilla cream, Sandalwood and Olive Wood. Indulge in wild and luxurious sensuality with the Roberto Cavalli Eau de Parfum, an intense floral oriental fragrance that won't let you go unnoticed.